Freeway Transmissions welcomes you to our West Jordan ~ Murray ~ Salt Lake transmission repair shop website. Each transmission technician at our automatic transmission repair shop in West Jordan ~ Murray ~ Salt Lake City Utah is highly qualified and ready to deliver their expert automotive transmission repair technician knowledge & skills for your every automatic transmission repair need. We invite you to CHECK OUR RECORD with the Better Business Bureau by clicking the BBB link above. Not every transmission shop wants you to check out their Better Business Bureau record. Freeway does, because our A rating is based on Freeway Transmissions long standing commitment to customer satisfaction. 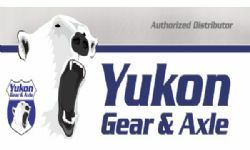 Our shop promises to diagnosis transmission problems for all of our local and surrounding area customers in an honest and expert manner. Additionally Freeway Transmissions pledges to all of our customers that we will not remove a transmission from a vehicle in order to complete a repair unless absolutely necessary. Freeway Transmissions realizes that there are many auto repair companies in the Salt Lake City area to choose from and that is why our shop strives to provide prompt and courteous service to all who visit our automotive transmission repair facility in the hope that you will come back to us for all of your automotive automatic transmission repair needs. Freeway Transmissions looks forward to the opportunity of serving your future automotive automatic transmission repair needs. 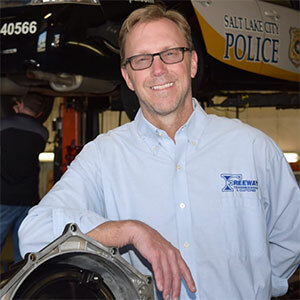 Freeway Transmissions offers our customers in the Salt Lake City area nationwide protection. Our warranties are among the best in the automotive repair industry. Freeway Transmissions offers locations in Salt Lake City, Murray, and West Jordan for scheduling purposes. Freeway Transmissions is always interested in hearing from qualified individuals seeking employment at our Salt Lake City automotive repair shop. If you are interested in joining the Freeway Transmissions team we want to hear from you. Freeway Transmissions understands how important it is to find a quality automotive repair shop in the Salt Lake City area. This is why we value the associations we have with the reputable organizations listed below. These associations help our auto repair shop in Salt Lake City to give you the confidence in knowing that your automotive repair and service needs will be met by our qualified automotive repair and service expert technicians. Freeway Transmissions offers our customers 4 full-service and repair shop locations. Click map markers for location address, hours, and telephone number.